Single malt whisky distilling is a step closer to returning to Scotland’s capital after a 90 year absence after the City of Edinburgh Council approved an application to develop the Engine Shed building and site on St Leonard’s Lane into a single malt whisky distillery and visitor centre. The Holyrood Park Distillery is a joint development by David Robertson, former Master Distiller for The Macallan, and Rob and Kelly Carpenter, founders of the Canadian branch of The Scotch Malt Whisky Society. It will be Edinburgh’s first single malt whisky distillery since Glen Sciennes closed in the 1920s. Work will start on site in the coming months and the business aims to start distilling and open its doors to the public in 2018. As a small scale operation, it will initially produce only 53,000 litres of alcohol per year, resulting in around 140,000 bottles of mature single malt in 8 to 12 years’ time. 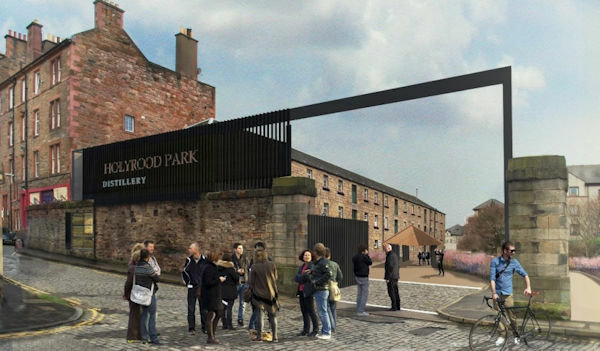 Following the City of Edinburgh Council’s decision in August last year to enter into a lease with The Holyrood Park Distillery, the team behind the development has held consultations with local residents and businesses to shape plans, and has taken neighbours’ feedback on board in the approved proposals. David Robertson, project lead of The Holyrood Park Distillery, said: “After years of hard work, our team’s dream of bringing single malt whisky distilling back to Edinburgh is set to become a reality. “We worked closely with local residents and businesses to build a proposal that will benefit the local community as well as Edinburgh as a whole.